ITANAGAR, Nov 4: The West Kameng district unit of the Arunachal Pradesh Police (APP) has opened an inquiry led by an officer of the rank of additional superintendent of police (ASP) to investigate into the vandalism that occurred at the police station (PS) and the PWD office there on Saturday. The ASP will submit a report and, based on it, the police will check the lapses, if any occurred, and take action accordingly. The Army has also filed an FIR, claiming that the police severely beat up two Arunachal Scouts (AS) personnel, identified as Sepoy Chin Sonam and Sepoy John Samyor, in the Bomdila lock-up on the night of 2 November. Locals say the sepoys were picked up by the police from the Buddha Mahotsava celebration ground on 2 November, after they had misbehaved with some women and created nuisance. West Kameng SP Raja Bhantia informed that the medical check-up of the two sepoys was conducted, and that they suffered simple injuries which were looked into by the doctor at the Bomdila medical centre. “As such, there is no cognizable offence till now,” the SP said. Clarifying on the turn of events, the SP informed that the 2nd AS Commanding Officer (CO), Firdosh P Dubash, came to the police station on the morning following the incident, met the officer-in-charge (OC), and threatened him. “We have a video footage in which the CO is clearly seen threatening the OC. The CO is seen warning the OC to ‘watch out’ when he goes out on the streets of Bomdila,” the SP said. The SP said he had just arrived from Bhalukpong and was speaking to the CO when they heard noise from outside. When they went out to investigate, they saw hundreds of army men on trucks, armed with long-range weapons, machetes (daos) and sticks. “This shows that they did not come with the intention to talk. The CO should not have brought 200 fully-armed men with lethal weapons if he wanted a peaceful resolution of the issue,” the SP said. The SP said he and Deputy Commissioner Sonal Swaroop were also manhandled by the paramilitary personnel. “They pelted stones at us, and also pointed their rifle butts at me in a threatening manner. Whatever may have been the issue, the riotous behaviour is not justified,” the SP said. 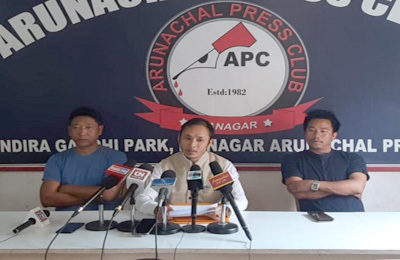 Defending the misdemeanor of the 2nd AS personnel, Lieutenant Colonel and Defence PRO Harsh Wardhan Pande said: “The entire incident is an outcome of highhandedness displayed by the Arunachal Pradesh Police, coupled with the lax attitude of the civil administration. “The police have not acted in a responsible and mature manner, violating all the laid down protocols of dealing with the uniformed personnel,” the defence PRO said in a release on Sunday. The lieutenant colonel also said, “Both the soldiers are admitted and undergoing medical treatment in the military hospital at Tenga for the grievous injuries sustained during the custodial brutal manhandling inflicted upon them by the Arunachal Pradesh Police. “Instead of locking up the soldiers in the police station, they should have handed over the soldiers to the military authorities,” the PRO said. However, the SP said the two personnel who were allegedly hospitalized were at the forefront of the mob on Saturday. “They were at the forefront of the mob that vandalized the police station and the PWD office. How can they be hospitalized now?” he said. 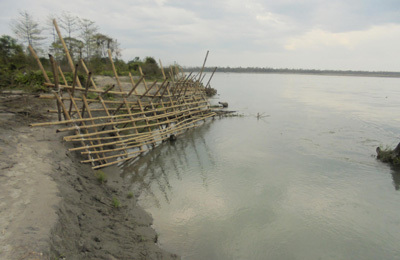 Further, the defence PRO claimed that the CO was trying to defuse the situation by having a meeting with the West Kameng SP on 3 November when the police personnel instigated the CO’s security detail by misbehaving with them and using unparliamentary language, which led to a scuffle between both sides. The SP on his part repeated his clarification that he had just arrived from Bhalukpong and was speaking to the CO when they heard a commotion outside. Earlier, on 2 November, the two intoxicated 2nd AS personnel reportedly misbehaved with some women at the Buddha Mahotsava ground, and were reportedly beaten up by policemen after they were taken into custody. The next day, the CO of the 2nd AS came with some 200 heavily-armed men and vandalized the police station and the PWD office. They also manhandled police personnel, along with the SP, the DC and a civilian nearby.